The non-residential sector (businesses, organizations, and institutions) represents the greatest opportunity to divert waste from the landfill. Approximately 65% of Banff’s waste comes from the non-residential sector. Starting April 1, 2019, the cost to drop off yard and garden material to the town’s transfer site will be reduced from $85/tonne to $40/tonne. The cost is bring reduced to encourage the non-residential sector to haul yard and garden materials to the transfer site for recycling, instead of throwing it in the garbage bin. 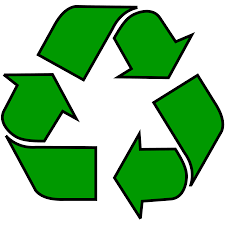 To reduce the amount of waste sent to landfill, non-residential waste can be separated into several waste streams. Find out other ways to keep waste out of the landfill and save money. You can sort and drop off other recyclable materials at the Waste Transfer Site, or hire a private hauler to come collect it. The Transfer Site is located at 120 Hawk Avenue and is open seven days a week, except public holidays, from 7:30 a.m. to 3:30 p.m. Please note that no loads will be accepted after 3:15 p.m.
Drop-offs are free for residents, excluding construction and renovation waste. Fees will apply for non-residential and out-of-town drop-offs. Padded envelopes, carbon paper, elastic bands, paper clips, plastic liners, plasticized or wax papers, bones, twist ties, stickers, plastic labels, straws, condiment packets and foil wrappers. As of November 1, 2017, all non-residential organizations and agencies in Banff will be required to use clear bags to dispose of garbage. Waste will no longer be accepted in black, coloured or opaque bags. Clear bags will allow you to identify materials such as food, recyclable containers, paper and cardboard inadvertently placed in the garbage. Once these materials are identified they then can be diverted from the garbage bin and reduce your costs. Why is the Town implementing a clear bag program for the non-residential sector? Does the use of clear garbage bags increase waste diversion from the landfill? Do clear plastic bags cost more than traditional black plastic bags? What should I do with my leftover black garbage bags? Can I put smaller opaque plastic bags in the clear garbage bag? Are residents required to use clear bags for garbage?